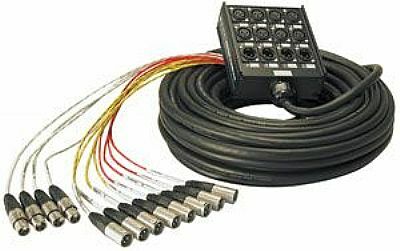 Professional heavy-duty stage snake with individually coded and labelled connectors. Heavy duty multicore cable in individual shrink sleeves which protect the cable ends. Length 30.0m. Run all your balanced-lines in one useful cable. A must for any band trying to get away from the stage and mix properly! Cut down on messy cables!